On April 9, 1931, Ermogene Moore was born to Fred D. Borders Sr. and Leora Borders in Beggs, Oklahoma. Ermogene and her 5 siblings were raised by their second mother, Pearl Borders. Ermogene received her education at Tolan Elementary School and Wheatley High School. She accepted Christ at an early age and loved the Lord throughout her life. She never hesitated to call out the name Jesus. Ermogene took to heart Proverbs 22:6 and made it a part of her household. Ermogene relocated to Kansas City, Missouri in 1951, where she met the love of her life Major W. Moore, and to this union, they were blessed with five children: Clarence, Cedric, Deidre, Delta, and Deborah. Ermogene and Major later relocated to Los Angeles, California where she worked running the businesses of her beloved husband, and also worked as an Inspector for Bethlehem Steel. 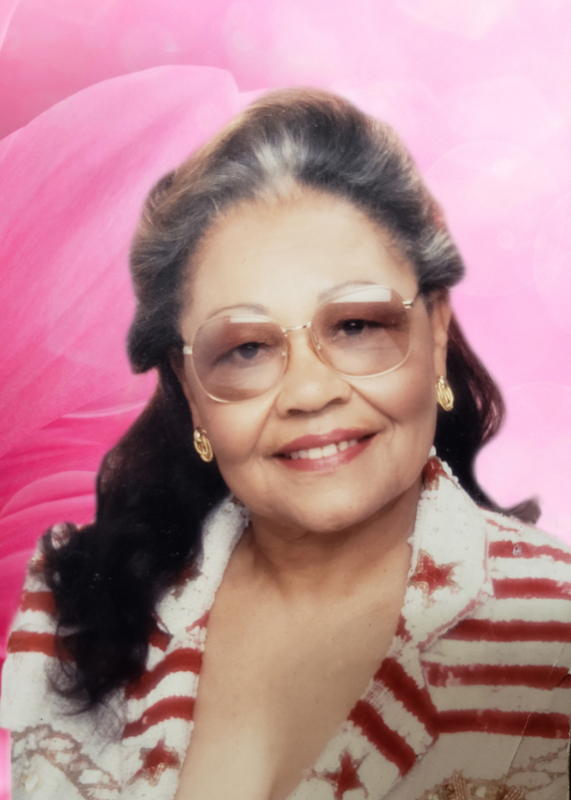 After raising her children and some of her grandchildren, Ermogene and Major made a final move to Las Vegas, NV in 1989, where she enjoyed gardening and spending time at a couple of her favorite places, Arizona Charlie"s and The Texas Station. Ermogene was known for her bright, beautiful smile, her sense of humor, her cooking, making sure everyone around her was fed and most known for disciplining when needed; whomever and wherever. She had a heart of gold, and was loved by so many. nieces, and nephews to the end. Ermogene was preceded in death by her parents: Fred D. Borders Sr., Leora Borders, and Pearl Borders; husband, Major W. Moore, son, Clarence McNealy, sisters: Wannabee Green, and Bernice Washington; brothers: Andrew Borders, Booker T. Borders, and Fred D. Borders Jr.
She leaves to cherish her loving memory her children: Cedric Moore, Deidre Moore Broomfield, Delta (Sherita) Moore, and Deborah Moore Watson; daughters and sons-in-love: Carrie Walker, Darrell McAlister, David Watson, John Yoder, and Billy McNealy; sisters-in-law: Alice Faye Sheperd, Leah Raye Calsadillas, Christine Moore, and Maxine Borders; brother-in-law, Jesse Moore Jr. (Sherry); special friends: Mr. and Mrs. Morris Wilkerson, and Joanne Battle, 22 grandchildren, 40 great-grandchildren, and 9 great-great-grandchildren. She also leaves a host of nieces, nephews, other relatives, and friends; truly too many to name as Ermogene touched many hearts throughout her life, and she will truly be missed "One in a Million" we were blessed to call her Mama. The family of Ermogene Moore would like to thank you for the many acts of loving-kindness shown to us during our bereavement. Your thoughtfulness is deeply appreciated and will always be remembered. My heart and prayers go out to each and everyone of you during this very difficult time. May God open arms and embrace to you comfort and peace.